Dog parks are a great way to get physical and mental exercise for your best friend. 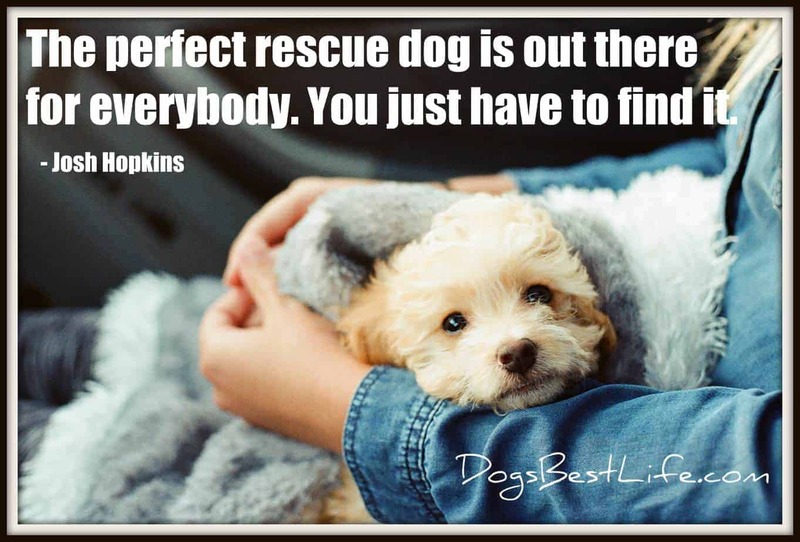 They can run around off-leash, socialize with other dogs, and generally have fun. 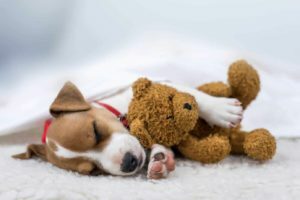 It’s a good time for dog owners, too; playtime with your dog is always fun, and it gives owners the opportunity to hang out with other dog owners and make friends with other dogs. But just like people, dogs have different personalities. Sometimes when a group of dogs get together, one of them can play rougher, be more aggressive, and generally act like a bully (no pun intended). When you’re concerned about the well-being of your dog, it’s important to know how to deal with the dog park bully. First things first: how much danger is your dog in? If there’s immediate danger from the dog park bully, remove your dog from the park right away. If not, is it simply another dog trying to play in a way your dog isn’t comfortable with? Is the dog playing in a way that’s appropriate for their size or breed? Are they behaving aggressively? Could your dog get hurt? If you have a small dog, is there another area of the park that would be more appropriate for your dog? When you’re concerned for the well-being of someone you love, it’s easy to become angry or upset. 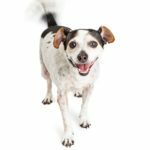 Try to assess the situation with a level head — that will help you protect your dog, or keep a misunderstanding from turning into something worse. 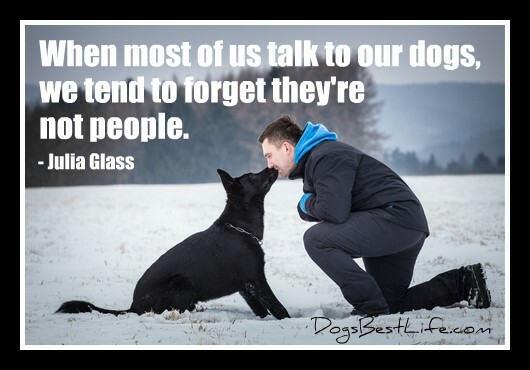 The important thing to remember is that everyone loves their dogs. When dealing with an overly aggressive dog, the other owner is loyal to their pup and might become defensive. 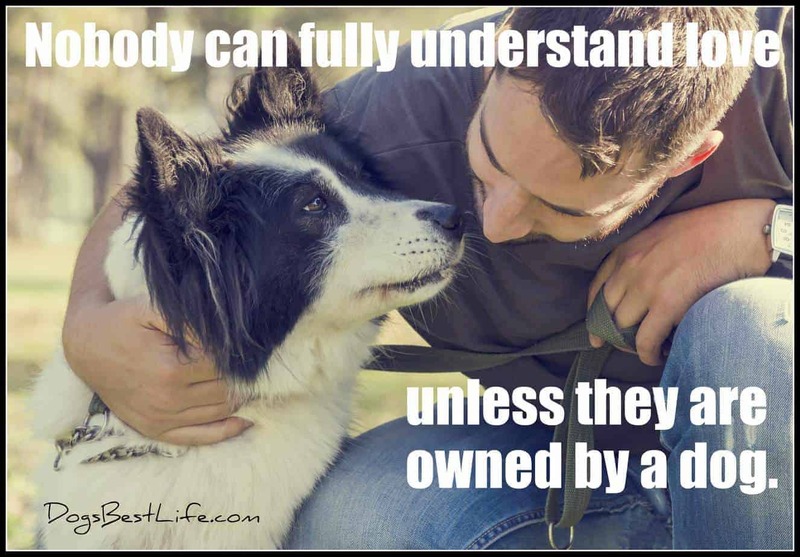 Love for our animals runs deep, and it’s possible that they genuinely don’t understand that their dog’s plays style is aggressive or potentially harmful for other dogs. No one wants to admit owning a dog park bully. 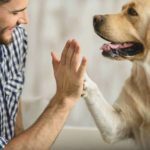 Engage your emotional intelligence when speaking to another dog’s owner, use the same skills you would use to handle conflict in the workplace or any other delicate situation: be aware of the ways you tend to react, try to be receptive to their emotions, make calm statements and listen actively to their response. 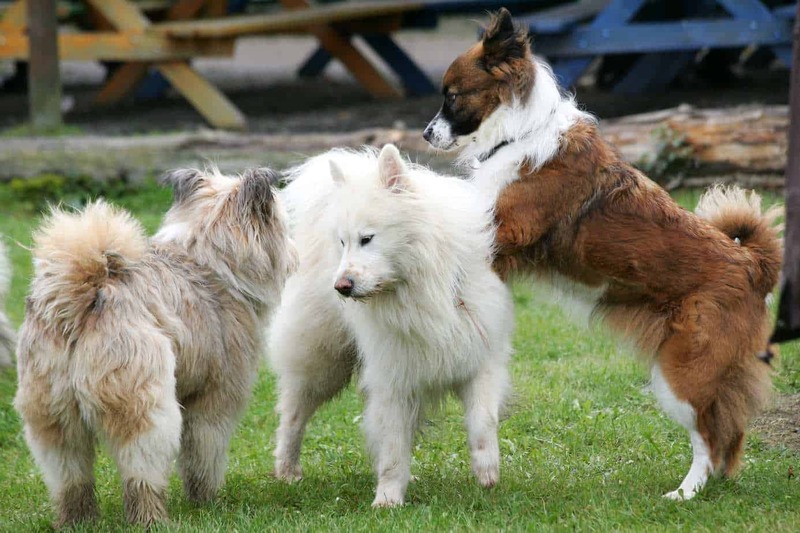 Prevent dog fights by watching for situations that may trigger them. If you sense a dangerous situation, remove your dog immediately. The best way to protect your dog is to get him away from a dog park bully before the fighting starts. If your dog appears fearful, or you notice other dogs exhibiting aggressive behavior towards your dog (rigid posture, flattened ears, giving other dogs side eye), get out of the area. Don’t pick up your dog (even a small dog), as this could put you in danger. Calmly but quickly leave. Should a fight break out, try making loud noises to break it up. Don’t scream. Instead, clap your hands, stomp your feet, and make a loud, strong grunt or call to startle the dogs apart. If that doesn’t work, dump water on them (or use a hose) if it’s available. Don’t grab their collars or get between them. Put an object between the dogs — something big enough to push them apart. Once the fight has paused, get out of the situation. A little care, a little kindness, and a little attention is all you need to make sure the trip to the dog park is fun for both you and your pup.